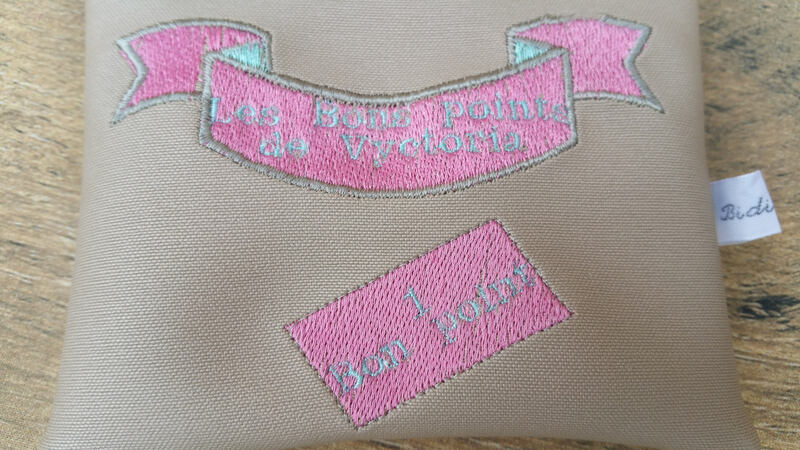 Good points Pocket embroidered beige leatherette of 12cm x 10cm. The Interior is fully lined in cotton fabric pink stars. Stronger the box metal classic, your child should be able to keep more than one year. Also available in boy on my shop. 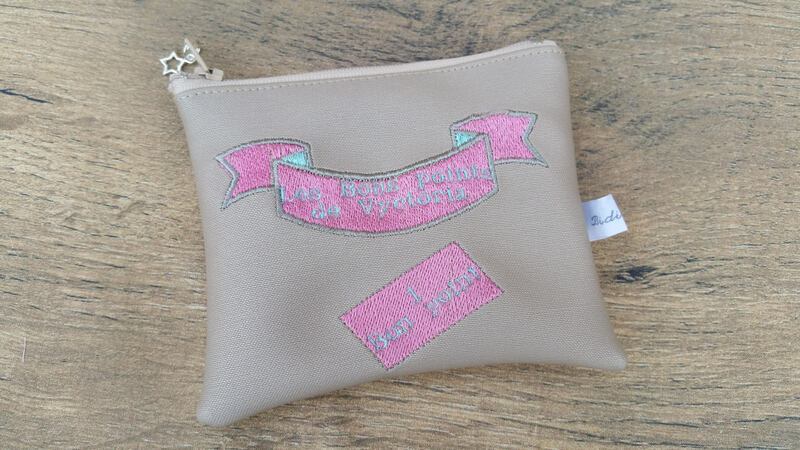 Compact pouch perfect for storing good points in class by your child. Made of faux leather for better resistance compared to the traditional metal box. It is part of the list of supplies. Because of its customization, this is an original gift for your children for school.